The One Skein Wonder is a fast, easy blanket to whip up with, you guessed it, only one skein of yarn! The finished blanket measures 25” wide by 27” tall. 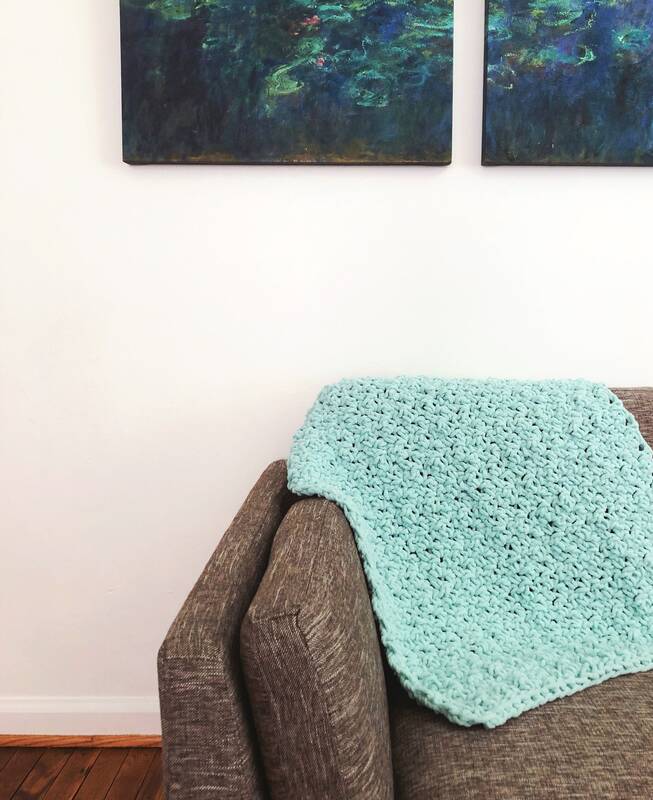 This blanket is the perfect size for a baby or a lap blanket for an adult. 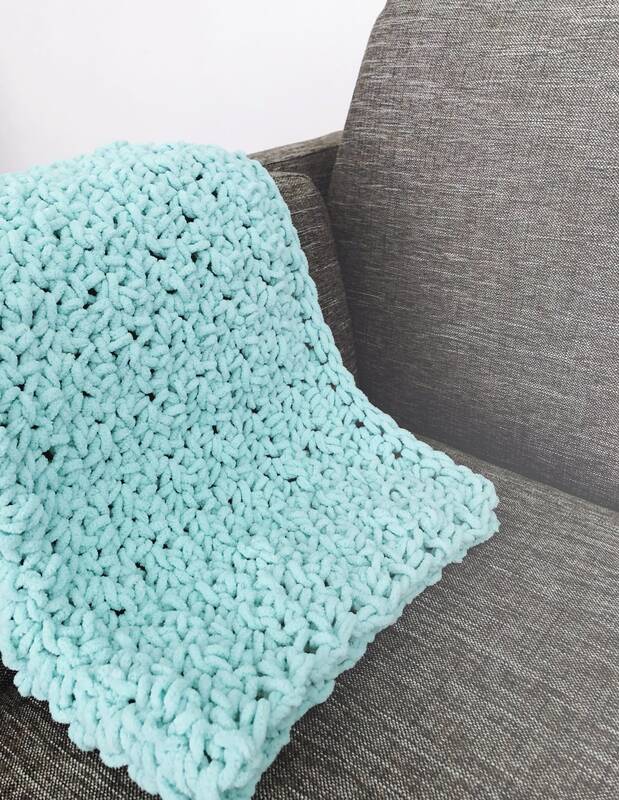 It is so squishy and soft, you will be so cozy even while you make it! Please follow and tag @kneedlesandlove and/or hashtag #madewithkneedlesandlove on Instagram for your work to be featured. 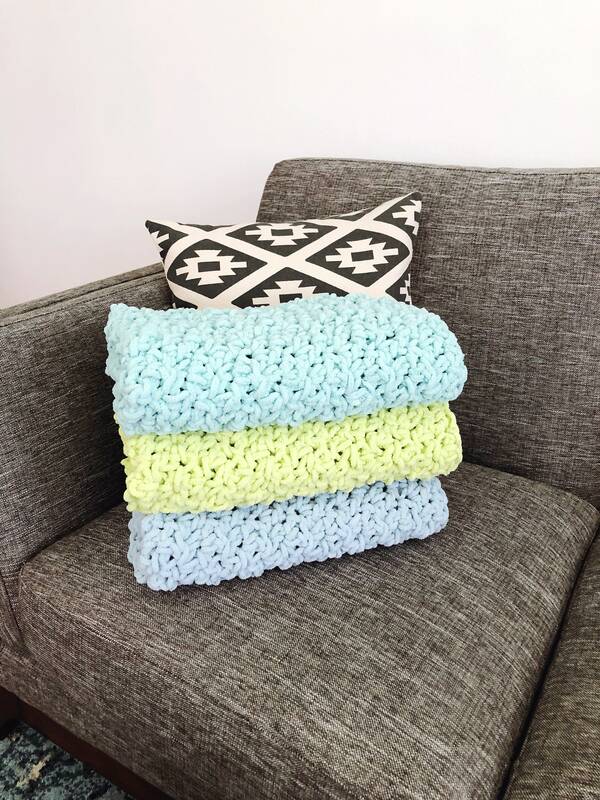 I would love to see your own blankets being made and the colors you choose!